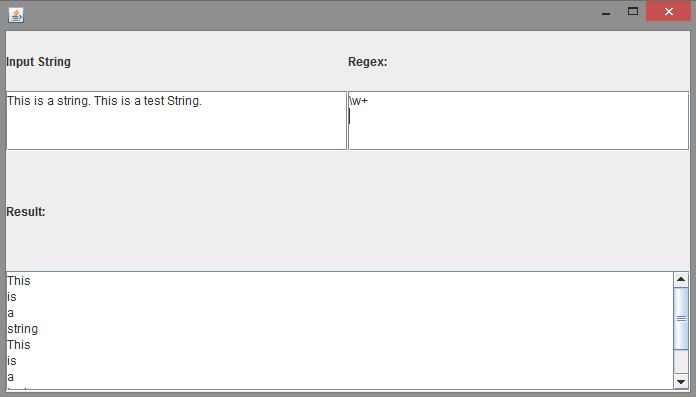 This program takes an input string from the user as well as the regular expression to match on the string. If a match is found it displays the result else displays "Regex pattern incorrect. Try again!" if the regex pattern is incorrect.